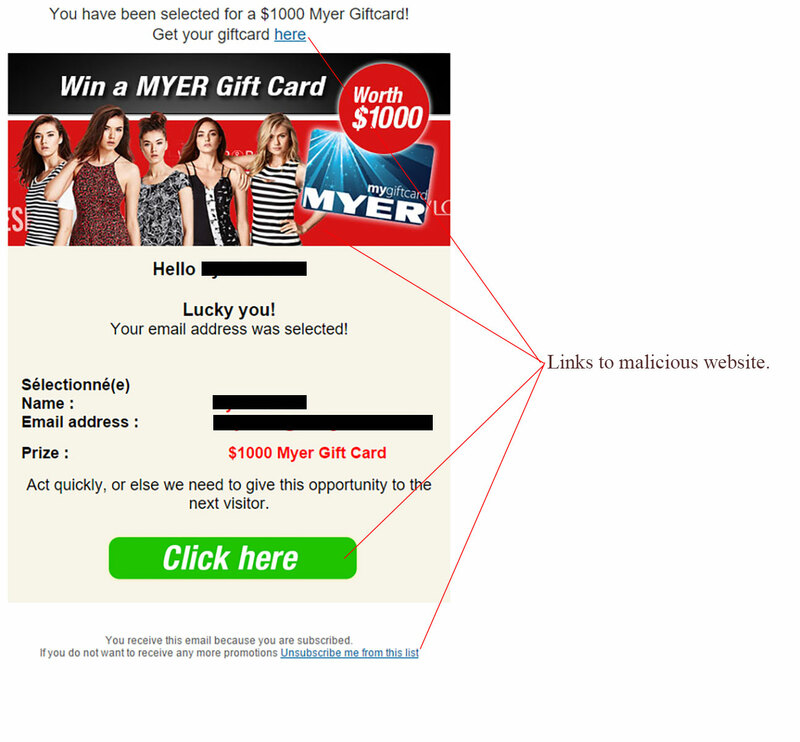 This MYER gift card email scam attempt proves gift card emails are still circulating. MYER is an Australian department store chain offering a broad range of products. This scam uses some sneaky tactics to try to convince you of its authenticity. Don’t fall for this one – delete it if received. Figure A shows the email in question. The layout is pretty average overall, average but there are some elements to be wary of. This scam attempt uses the receiver’s name and email address (marked out in black for privacy reasons) to help encourage you to click through to ‘claim your prize’. 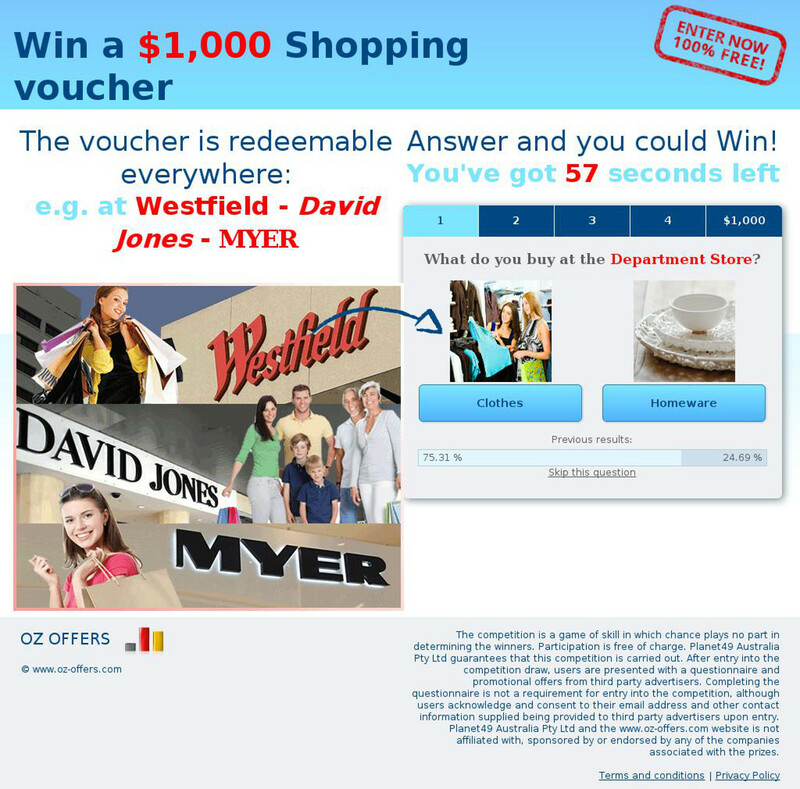 The subject line reads “Your $1000 Myer Giftcard is waiting” and the sender is shown as “Myer™ Australia” – however, when looking closer at the email address it is in no way associated with the official MYER website. The malicious links in this email include the text ‘here’ at the top, the whole image, the green button and even the unsubscribe link. Do not click anywhere in this email. Please note that clicking anywhere on this page will put your computer at risk of a malware infection. If this email happens to reach your inbox we strongly encourage you delete it immediately. There have been many gift card style email scams circulating in the past month, so be wary of any similar emails as well.